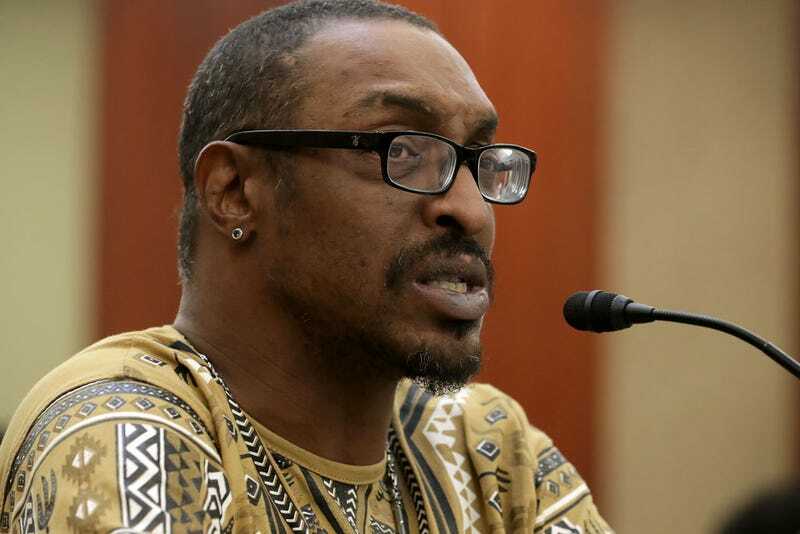 When Muhammad Ali Jr. was first detained by immigration officials at the Fort Lauderdale, Fla., airport as he traveled back from Jamaica with his mother, Khalilah Camacho-Ali, toward the end of February, initially, the son of the legendary boxer wasn’t so quick to blame President Donald Trump’s misguided Muslim travel ban. When asked if his passport looked improper, Ali immediately dismissed that possibility. “It wasn’t my passport. The thing is, they pulled me aside and asked me what my name was,” he explained. “They asked me, ‘Who gave you that name?’ Like, for real, who gave me my name? Are you serious?” he recalled thinking at the time. “And I told them, ‘My mom. My mom and dad named me,’ and they were like, ‘What’s your religion?’ I was like, ‘Why would you even ask me what my religion is?’” He admitted that questions about his religion “threw me for a loop,” but he kept quiet. Worst yet, “they didn’t say sorry. They didn’t say nothing. Just ‘Oh, you’re free to go,’” he continued. Then, in early March, Ali was detained again before a flight from Washington, D.C., where he had just spoken to a congressional subcommittee about his initial detainment. Ali, who lived in Chicago up until about six months ago, was questioned at the Ronald Reagan Airport before his flight to Fort Lauderdale and was told that his Illinois state identification card was expired, even though 2019 was listed as the expiration date. In that situation, he wasn’t detained in the same manner as in Fort Lauderdale, but it did add to his concern and that of his attorney, Chris Mancini, who is based in Fort Lauderdale. Today Ali is convinced that his detainment happened because Trump is president. “Bush was in office, I’ve never been hassled. Clinton got in office, I never been hassled. Obama got in office, I’ve never been hassled about traveling. Donald Trump got in office, it’s the only time I was hassled as far as traveling. So it had to be that,” he deduced. If his father were still here, Ali believes, he would take similar actions. “My father would do the same thing I’m doing,” he stated adamantly. Ronda Racha Penrice is a freelance writer who resides in Atlanta. She is the author of "African American History for Dummies."